This holiday season, I've decided to be a little creative and started making cards! Holiday season can be a bit hectic, but if there's one thing I'm going to hand make this holiday season is my own personalized greeting! DIY greeting cards are the perfect way to send holiday cheer through the mail to loved ones. I just love folding peace crane as they hold a symbolic meaning. The crane in Japan is one of the mystical or holy creature and it is commonly said that folding 1,000 paper cranes makes a person's wish come true. So I think this would make a perfect greeting card to all my dear friends and family this holiday season. It's easy and fun! Just follow the simple instructions below. Simply use Microsoft word doc to create a holiday image for the front of the card as well as a holiday message inside the card. Then print the images onto a brown kraft recycled card. 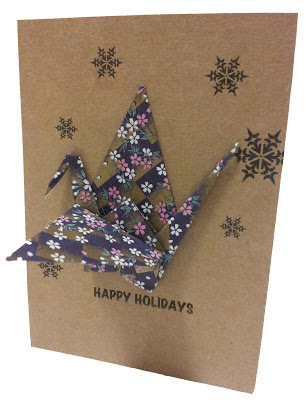 Use origami paper and fold it into a peace crane. 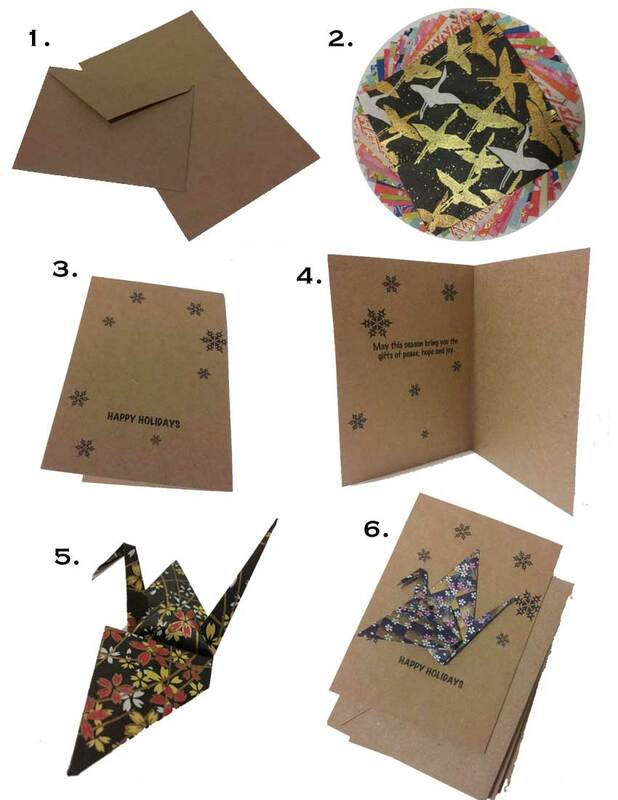 Here's a step by step tutorial I found on how to make an origami crane. Glue the peace crane on the front of your personalized greeting card.